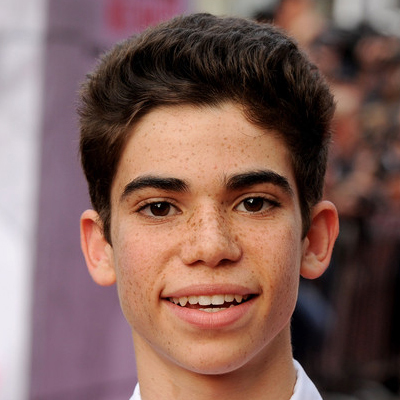 Cameron Boyce was born on May 28th, 1999. He is a singer, dancer, and actor. His film debut was in 2008 when he played the role of Michael Carson on Mirrors. That same year he played Sam Holloman on Eagle Eye and had a recurring role (7 episodes) on General Hospital: Night Shift, playing the character Michael ‘Stone’ Cates, Jr. He has gone on to do four more films and has been in a number of television episodes as well. His longest thus far was 98 episodes in the main role, Luke Ross, in the TV show Jessie. He is currently on the TV series, Gamer’s Guide to Pretty Much Everything in the role of Conor and is in post-production on Descendants 2, a TV movie. These are just a few of his many achievements. Cameron began acting at the age of nine, so it is safe to say his early life was much the same as it is now. He attended Sherman Oaks Center for Enriched Studies. Cameron was also a coach and background dancer for the 2010 Just Dance Kids video game. He also performed the songs “Rotten to the Core” and “Set it Off” of the Disney Descendants; Original TV Movie Soundtrack, released July 31st, 2015. He had played Carlos in the television film. He won the Young Artist Award in 2012 for Best Performance in a Feature Film – Young Ensemble Cast. Cameron’s parents are Libby and Victor Boyce. He has a younger sister, Maya, and a dog, Cienna. His mother is Ashkenazi Jewish and his father is African American. His grandmother (father’s side) is Jo Ann (Allen) Boyce. She is known as one of the Clinton Twelve who were the first to attend an integrated high school (Clinton High School in Clinton, Tennessee) after the 1956 Brown v. Board of Education ruling. It is safe to say that Cameron has a ton of friends. On November 22nd, 2016, an Instagram post shows him with a few of his best – Nolan Gould, Sarah Gilman, Karan Brar, and Sophie Reynolds.